Dr. Anthony Brandt is an internationally acclaimed composer and an Associate Professor of Composition and Theory at Rice University’s Shepherd School of Music. He is Artistic Director of the award-winning new music ensemble Musiqa, which has performed free educational concerts for over 50,000 students. He has co-authored two papers on music cognition and organized three international conferences on music and the mind at Rice. “Despite appearances, innovations don’t come from nowhere. They are the latest branches on the family tree of invention.” An extract from The Runaway Species on how technology (and creativity) work: by building on what’s come before. 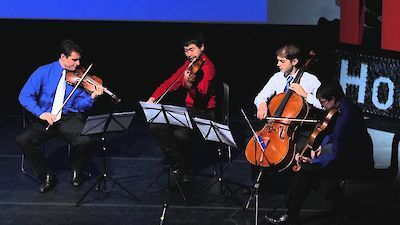 “The arts protect consciousness”: Anthony Brandt – co-author of The Runaway Species with neuroscientist and writer David Eagleman – discusses types of creativity and the value of art (with the help of a string quartet).